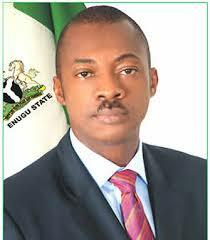 Emmanuel Acha, NAN: A former Governor of Enugu State, Mr Sullivan Chime, has confirmed that he has left the PDP, because the party is dead and in his words. cremated. Chime said that his decision to quit the PDP was because the party was “no longer in existence in the true sense of it’’. Chime said, however, that he had yet to join another political party, contrary to speculations that he had defected to the APC. He said that he was still making consultations to determine the political party to join, pointing out that his decision to dump PDP had nothing to do with his corruption case with the EFCC. “The PDP, we used to be members of is dead. The party I joined in 1999 and had the opportunity of leading in the state for eight years is no longer in existence. “We have two groups claiming to be in charge of the party as chairman. These two, none of them can actually lay claim to the chairmanship of the party. “There is no provision in PDP’s Constitution for interim caretaker committee led by Sen. Ahmed Maikarfi. “The PDP convention has no power to set up a caretaker committee and did not seek to amend the party’s constitution,” he stated. The former governor explained that Sen. Ali Modu Sheriff on his own was brought in to serve out the tenure of former PDP National Chairman, Adamu Mu’azu, adding that the tenure had long elapsed. Chime said that remaining in the PDP would be a deceit, advising his supporters to look for a better platform to actualise their political aspirations. He said that he could not explain why INEC had not de-registered the party. “It is surprising or maybe INEC has not de-registered the PDP because the organisation is no longer working in tandem with the constitution that created it. “The PDP as originally formed has been cremated and no serious-minded politician will remain in it. Chime said that the founding fathers of the party lost it in 2014, when the PDP deviated from its norms. He said that he had not become a registered member of any political party but that he would certainly join a political party that would take the interest of his people at heart. “I will not join a party without making it public. I cannot join through the back door,” he asserted. Chime said that it was obvious that the real founding fathers of the PDP had left, noting that no one would play active politics and succeed in the party. Some notable politicians in Enugu State, including a former Senate President, Chief Ken Nnamani and Chief Jim Nwobodo, a former senator had since dumped the PDP for the ruling APC.